Who Were The Real Currer, Ellis and Acton Bell? When the Bell brothers published their book of poetry ‘Poems by Currer, Ellis and Acton Bell‘ in 1846 it seemed to be an act of little significance, reportedly selling just two copies (although one of this duo of readers was so impressed that he wrote to the publisher, Aylott & Jones, for the Bell’s autographs). Of course, we know now this was an act of incredible significance as it was actually the first book to reach print by the Brontë sisters (and, on a side note, every copy was eventually sold). The poetry is important of course, but the names are important too – so let’s look at why the names of Currer, Ellis and Acton Bell were chosen – for behind the names lie very touching tales of the sisters and what they cherished the most. All of the Brontë sisters were shy, to a lesser or greater degree, possibly as a result of the relative seclusion they were brought up in after the death of their mother Maria, thriving in their own company rather than in that of others. Emily Brontë above all prized anonymity and secrecy, so it is likely to be she rather than her sisters who pressed for the use of pseudonyms when presenting their work. ‘ We did not like to declare ourselves women, because we had a vague impression that authoresses are liable to be looked on with prejudice’. So we know why the sisters chose to hide behind the mask of the Bells, but just why did they choose the names Currer, Ellis and Acton Bell? Firstly, it allowed them to retain their initials: Currer Bell was Charlotte Brontë, Ellis Bell was Emily Brontë, and Acton Bell was Anne Brontë. The surname Bell could have been chosen simply because of the sound of the bells from their father’s St. Michael’s and All Angels church, a short stroll from the Parsonage in which they lived. 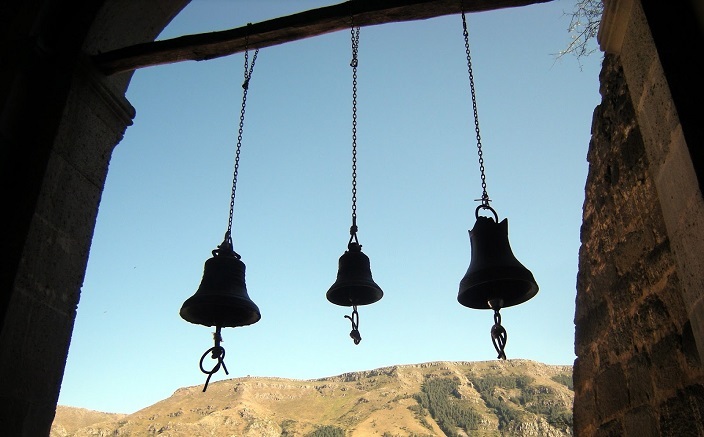 It’s a sound they would have often heard – so could it be that they heard the bells peeling as they tried to conjure up a nom de plume for themselves? Another option is that they may have borrowed part of the name of their father’s new assistant curate – Arthur Bell Nicholls. He arrived in Haworth in May 1845, not long before the sisters began to send their poems to prospective publishers. At the time they could not have guessed the importance that Arthur would have to their lives – he would become dog walker to Flossy and Keeper after the death of Anne and Emily, and he was later to marry Charlotte Brontë. I suggest a third possibility, however. Could Bell be a shortened form of the maiden name of their mother, and more pertinently perhaps their brother? By removing the middle letters of the name they could disguise it so that B(ranw)ell becomes simply B’ell or Bell. Branwell Brontë was unable to be part of their writing venture, but he was still regarded fondly by his sisters and in this way he still could, somehow, be present. Winifred Gerin, the brilliant biographer of the Brontës in the sixties and seventies, suggested the origins of two of the pen names. Charlotte Brontë was for a short while a governess to the Sidgwick family of Stone Gappe at Lothersdale, North Yorkshire. 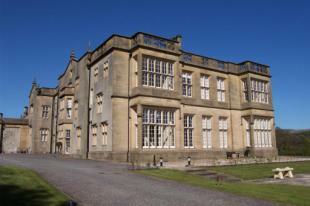 The neighbouring property of Eshton Hall, a huge mansion near Skipton, belonged to a Miss Frances Mary Richardson Currer. She was famed for her large library, similar to the one Charlotte was familiar with at Ponden Hall near Haworth. Could it be that Frances Currer’s learning impressed Charlotte so much that she later adopted her name? Acton Bell may have taken ‘his’ name from Eliza Acton. 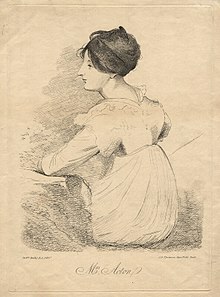 Largely forgotten now, she was a cookery writer and more importantly a poetess of note in the early to mid nineteenth century, and likely to have been read by Anne in the magazines that the sisters enjoyed, passed on from their father. 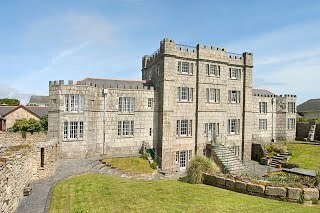 Another possible source of the name is Acton Castle near to Penzance in Cornwall. It would have been well known by Anne’s mother Maria and by her Aunt Elizabeth, who was like a mother to Anne throughout her life. It could be that Anne heard her aunt talk of the castle (after all, we know that she liked nothing more than talking of her beloved Cornwall), liked the name, and decided to adopt it as a tribute to the land of her maternal forebears. Winifred Gerin is, however, unable to suggest an origin for Ellis Bell, but I believe I have not just one but two possible answers. Emily and Anne Brontë were incredibly close and loving sisters, and Emily was always longing to hear of Anne’s adventures as a governess. She would have known all about Mary Ingham, Anne’s employer at Blake Hall of Mirfield, recreated so searingly in Agnes Grey, and she would also have heard of Mary Ingham’s exalted father: Ellis Cunliffe Lister. 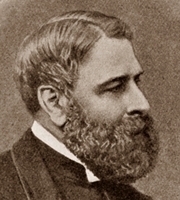 Ellis was the member of Parliament for Bradford, in effect the Brontës’ parliamentary representative. Alternatively it could be a tribute to Emily’s older sister Elizabeth, who tragically died of tuberculosis aged just 10 in 1825, a time when Emily was just six years old. Perhaps the young Emily found it hard to say the full name Elizabeth and so used a shortened form – Ellis? Elizabeth Brontë was, by all reports, a practical and loving sister and she would often lead her younger siblings across the moors. Emily Brontë would without doubt have loved these walks, and therefore she doubtless would have loved the sister who led them, and could have paid a touching tribute to her when selecting a pen name. This, I think, is the most likely origin of Ellis Bell. So there we have the inspirations, possibly or even probably, of Currer, Ellis and Acton Bell – three very different people yet all represented in the Brontës works – the solitary yet scholarly woman, the greatly missed sister, the female poet – and at the end of the name, a tribute to their brother. We can see then that each name was carefully chosen and that each has a touching story behind it. We adore Charlotte Brontë, Emily Brontë, and Anne Brontë, of course, but we should also cherish the names of Currer Bell, Ellis Bell and Acton Bell.